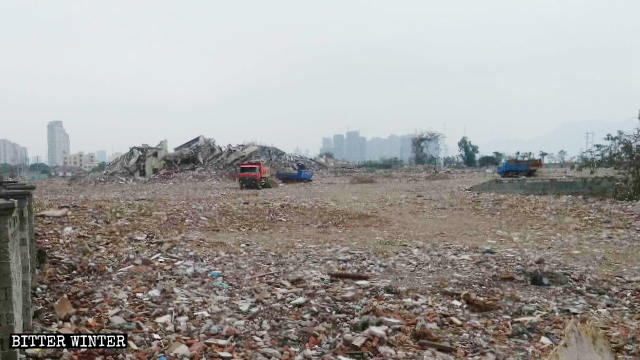 Under the pretext of urban renewal, authorities in Wenzhou city, in China’s eastern province of Zhejiang, cause destruction. The Buddhist temple in Zhuangyuan town has been turned into ruins. 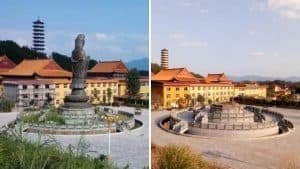 Two hundred people were no match for a gang of 1,000, and yet, 200 villagers from Zhuangyuan town of Longwan district, under the jurisdiction of Wenzhou city, gathered to try to stop the more than 1,000 government employees sent to destroy a Buddhist temple. Roughly 50 villagers, from four different neighborhoods, lived at the temple in the hope of warding off the demolition. 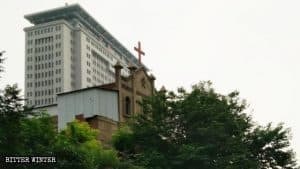 On September 25, 2018, Wenzhou authorities, under the apparent lie of urban renewal, sent people to tear the temple, which was built in 2013 and had all of its required government permits, down. 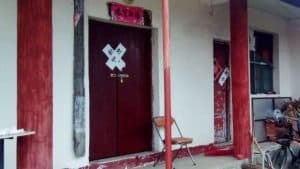 According to eyewitnesses, at about 7 p.m., plainclothes officers from the local police station arrived at the temple to inquire about how many villagers were guarding the temple. 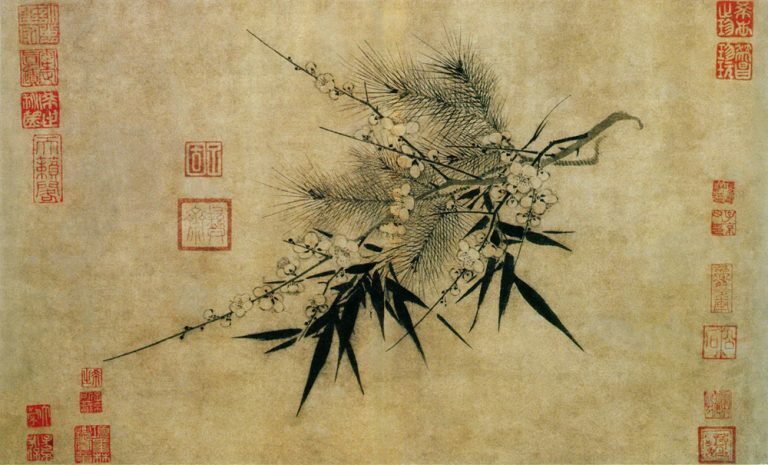 When the villagers got wind of this, they immediately closed the gate to the temple. In response to that move, government officials, around midnight, dispatched 1,000 personnel – special police, armed police, demolition, and relocation personnel, police station officers and medical staff – who then drove in a crane and commenced the demolition work. About 300 baton-carrying special police officers smashed the glass out of the windows, entered the temple. And when one villager sought to reason with police, he was beaten with batons, severely injuring his ribs and requiring that he be sent to the hospital for treatment. 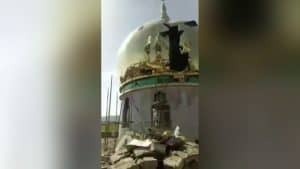 Around 2 a.m. on September 26, after authorities had gotten all of the villagers out of the temple, the demolition personnel used a crane to remove all of the Buddha statues from inside and placed them in a sheet-metal shed. Later, the authorities brought in six excavators to demolish the temple and, two days later, the temple had been completely razed to the ground. 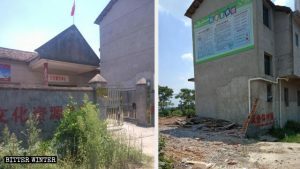 According to villagers, authorities had, six months earlier, warned that the temple would be demolished on the grounds of “urban renewal,” but the government promised they’d approve another plot of land where they could rebuild the temple. Except, of course, they didn’t. And when the person in charge asked about the specific location of the new plot, the local government failed to provide a clear answer. The villagers shouldn’t expect to get one. We welcome submission of unpublished contributors, news, and photographs. Each submission implies the authorization for us to edit and publish texts and photographs. We reserve the right to decide which submissions are suitable for publication. Please, write to [email protected]TERWINTER.ORG Thank you.